I just wanted to get through the next couple of days. I had in-laws visiting from another state which resulted in extra spending for eating and entertaining. An out of town event over the weekend would require extra funds for gas and the usual expenses that go along with being away from home. When we returned, there would be last minute school shopping. It was a stressful couple of days, and the last thing I wanted to do was add more stress to the pile and think about my budget. I just wanted to put my financial blinders on and plow through all the events, and deal with the consequences after the fact. Dealing with the consequences of overspending after the fact is a horrible idea. When the financial sledding gets tough, you need to take a deep breath, resist the urge to shove your budget to the side and follow these three helpful tips. At its core, my problem was lack of planning. While the in-laws staying for a few days was a surprise, the other two expenditures were not. I honestly hadn’t adequately budgeted for the out of town event and the school shopping in the same weekend. Add in the 3 day guest stay, and I had an overspending nightmare on my hands. Each week when my wife and I have our budget discussions, we should have been looking ahead, and saving some extra cash for the expenditures we knew about. By acknowledging upcoming events and planning for them, we could have minimized the damage to our budget. I hesitate to call my situation a full blown emergency, but it IS the kind of situation for which we should all have a reserve stockpile of cash. Taking money from savings will at least prevent having to pay interest on credit card charges. It’s too easy to put your head in the sand, and deal with the consequences later. But by setting spending limits, and continuing to track your purchases, you will at least know what you’re getting yourself into. You can also make better educated decisions as to whether expenditures are worth further depleting your cash reserves. 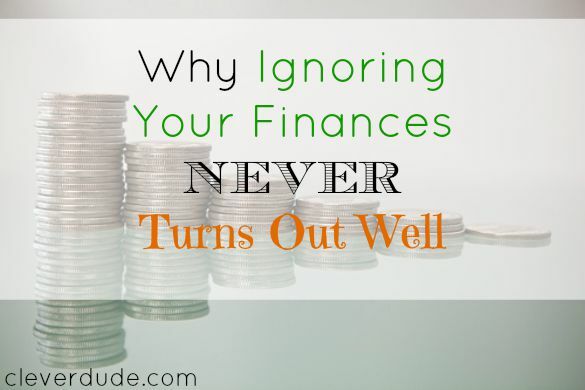 We may find ourselves unexpectedly in situations where our funds can’t cover everything going on in life from time to time. Turning off our financial management skills for a period may temporarily reduce stress, but in reality we’re giving up control and potentially making the matter worse. If we keep our heads calm, and continue to keep our eye on our money we can make it through a challenging situation, and make it easier to recover from as well. Hopefully the overspending is part of a bigger flucuation where you might soon have a period where you come in under budget. This is typically the way things work in our budgeting cycles. I don’t stress too much if we go over in certain months because many times, there will be less spending as an offset. As costs rise or needs change, you certainly want to make adjustments in the long term, but adjusting the long term budget as a result of one time or short term catalysts can often cause more problems than it solves. Ugh, I hate it when things pile up. For us, it can be (and usually is) too many co-pays in a single week. Other times, it’s just an unexpected/unusual expense like a pair of new pants when the old ones don’t fit. And of course, the re-entry after FinCon. At that point, I’ll have to survey the damage and see just how awry spending went with me in Charlotte and Tim in Washington. Nice article Brock. We’ve all been there. You mentioned the emergency fund and I think it’s a great point that you make sure that no matter what those credit cards are paid off at the end of the month. Paying interest on overspending just adds insult to injury! @Moneybeagle – Yeah, I’m hoping that’s exactly what happens. Big spending at the beginning of the school year….but now that school’s in session the hope is that we’ll be sticking closer to home and spending less. Abigail – I can imagine that a long weekend for Fincon could bring about some extra spending. Being at a conference is a tough time to be on a strict budget….but if ANY group of people would understand…LOL. @James – Exactly! It makes no sense to pay interest if you’ve got efund money just sitting there. We should all have an emergency fund!